The following is Rabbi Berk’s sermon delivered at Congregation Beth Israel on Yom Kippur morning last Saturday. This morning I want to talk about Israel and our covenant with the Jewish nation. Maimonides taught that on Yom Kippur we not only repent for our deeds like lewdness, robbery or theft; but also for attitudes; qualities that are sinful: hatred, envy, anger, and the like. With this teshuvah we can heal the hurts we’ve caused and the relationships we’ve damaged. This is the teshuvah which strengthens the covenantal bonds of our lives. Now I wish to look at our bond with Israel because I’m very concerned about something Ari Shavit said when he spoke at Beth Israel of San Diego in August. Mr. Shavit spoke eloquently about the Gaza war and shared thoughts about what lies ahead. But it was his exclamation point; what more than anything he wanted us to take away from his talk, that shook me. His closing statement was that the most important thing for the Jews of North America to focus on is our youth. We’re losing the youth, he said. And if we lose them…Well, it’s too awful to contemplate. 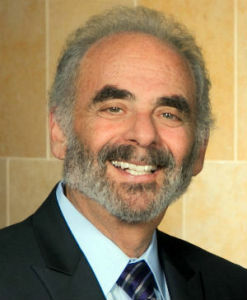 Rabbi Michael Berk of Congregation Beth Israel. This summer my son Yoni called me with anguish in his voice; struggling to understand Israel’s operation in Gaza. He was so pained by the suffering and unclear why Israel operated with such ferocity. This sermon is for my son. It is for his friends and other young Americans disillusioned with Israel, who are confused because they want to love Israel. I dedicate these words, to all who wonder, what’s become of Israel? — to all of us on this holy day taking a look at our feelings for Israel, our anger at Israel, our apathy. Why are we losing the youth and so many others? There are of course many reasons. With Yossi Klein Halevy I lament that while my generation fell in love with an Israel we did not know, the younger generations have fallen out of love with an Israel they do not know. Today, I hope to acquaint some of you with the Israel I love. I grew up with young Israel making the dessert bloom. The Six Day War. The Yom Kippur War. Entebbe. But younger Jews grew up with Lebanon wars, the Occupation, two Intifadas, Gaza, failed peace process, assassination, scandals in Israel. Israel has tested our nerves and our patience. But the last few years have been different, with the growth of the Boycott, Divest, Sanctions Movement. And it’s worse because of articles like the one that appeared in the New York Times on August 22 declaring that Liberal Zionism is dead. What follows is a eulogy of the Zionism that I grew up with. When I was in Israel this summer at the beginning of the Gaza war, I noticed how scholars, teachers, politicians, activists, often refer to Israel as a “project.” I thought to myself: Israel is only country in the world people call a project. Why a project? I think it’s deliberate on the part of the Jewish people. I think it’s because to us Israel is a work in progress. It’s something the whole Jewish people are working on. It’s the most exciting and significant project we’ve worked on together since building the Second Temple. Zionism is really quite simple. Michael Oren wrote that Zionism means the Jewish people have a right to live… and furthermore, they have the right to live in the place where they came from 4,000 years ago, the place we have longed for, and for 20 centuries tried to return to. Despite its stunning achievements in science, medicine, water conservation, despite all the Nobel prizes, all the things Zionism has produced that should inspire admiration, like a thriving economy, a vigorous and creative cultural scene, world class cuisine, a population that is annually rated among the happiest, healthiest and most educated in the world, Zionism has never been vilified more than it has been lately. Even the United Nations Resolution which equated Zionism with racism was not as threatening as the movement today to delegitimize Zionism. Is this important? It is. Look at the toll it’s taken on our young people, and how anti Israel sentiment rages in our world. Rabbi Daniel Gordis once said that modern history has demonstrated what happens if the world comes to the conclusion that the idea behind a nation is bad: the Soviet Union and Apartheid South Africa being prime examples. How did the longing of a tiny dispersed people, who happened to give the people of the world the bible; who started the rumor there is only One God, who today on the streets of their cities and towns and villages speak the language of the bible as their native tongue, how did their yearning for a homeland while suffering centuries of massacres and expulsions, culminating in history’s largest mass murder, become so hated in our world? It boggles the mind. I am here to say to my son Yoni, to all the young people with us, to all of you, my friends: don’t you ever be ashamed of being a Zionist. And I for one am proud to say I am a liberal Zionist. What is Liberal Zionism? A nationalist movement seeks to establish a homeland for a people. But once you have a nation, what will it be like? Sovereignty is not easy; it’s messy; dirty. But sovereignty presents a wonderful challenge; the opportunity to ask ourselves, What are the values we Jews can bring to bear on the notion of a just and decent society. The essence of the state envisioned by liberal zionism is a state where Jewish ideals and values enter into the public domain and foreign policy. It’s the core values of Judaism that make having a Jewish state worthwhile. We wanted a state not just because we’ve been persecuted and needed a safe place to live. We wanted to establish justice founded on the great ideas of our faith and show why we are worthy of a nation. We wanted to bring to life the prophecy that we should be a light unto the nations. Rabbi Donniel Hartman of the Hartman Institute in Jerusalem points out how the values of our people changed the way humanity was viewed. Rather than being lowly beings created subservient to the gods, we told everyone that they are all, every last one of them, created in the very image of God. This is a core value of Judaism — there is inherent value in every human being. That’s why God started with only one person — so no one could claim to be of more worth than anyone else. And when the notion of created in the image of God enters into a sovereign domain it creates a new way of looking at the responsibility of your society to all its citizens. It calls for creating a nation that can live with other traditions, with minorities. And it calls for creating a nation that reaches out to the world and seeks to enhance the dignity and worth of every human being. So how’s that working for Israel? Well, sometimes, not so good. There are lots of problems. Are there anti-democratic forces in Israel? Yes. We have lots of teshuvah to do in this regard. Are some settlers out of control? Yes. These things are far more complicated than our media portrays, but there’s no question, there is work to be done in reaching workable solutions. And is there racism in Israel? Yes, sadly, there is. We Americans are aware of how stubborn racism is even in a society committed to ending it. We’ve been fighting racism for around 400 years. Israel is a very young country, and I’m not offering excuses, but look: during its short life, Israel has been invaded five times; in the second intifada over 1,000 Israelis were blown up. 34 buses were exploded. 40,000 Israelis were wounded. Do you know who the biggest racists are in Israel now? The children of that Intifada, who had classmates and relatives and teachers blown to smithereens. Can there be a prayer in our hearts for there to be some healing for those young Israelis, and their Palestinian peers, so that there can be teshuvah between them. But now let’s look at some of the ways that show how Israel has operationalized the values of the Jewish people during the short history of Jewish sovereignty. When it was still a third world nation, poor and struggling, Israel sent experts out to impoverished and struggling countries of Africa and Asia to share what they’d learned about growing food out of desolate rocks. Golda Meir was once traveling with a bus load of diplomats in Africa that came to the border of Zimbabwe. The blacks were told they had to leave the bus. Golda got off with them. She was the only white to join the blacks. It was an Arab Supreme Court Judge who sent the President of Israel to jail for sexual harassment. You remember the devastation of Haiti? Do you recall that little Israel was on the scene there within hours, having set up not just a hospital, but what other medical teams called the Rolls Royce of medical centers — before the United States of America — which by the way is a lot closer to Haiti than Israel is. A couple of years ago there was horrible devastation in the Philippines. Israel not only raced to the scene, but upon arrival, set out for the LEAST accessible and most destroyed area where no other international teams dared go. And not only that, because Israel is so reviled and knows it, they brought a crack force of IDF soldiers to PROTECT THE MEDICAL TEAMS PROVIDING LIFE-SAVING TREATMENT. No other international teams had to bring their own armies to protect them! Some of you know that this summer I met a three year old Syrian boy in an Israeli hospital where he was being taken care of along with many other wounded Syrians. He thinks he’s in Syria. He may never know that it was Jewish doctors who saved his leg, but he will be able to walk back to Syria soon — on two healthy legs, because of the country Liberal Zionism has created. A couple weeks ago the United Nations peace keepers in Kuneitra, Syria, were overwhelmed by Al Qaeda terrorists. What did they do? They did exactly what you or I would do — flee; run as fast as they could into the safest country in the entire middle east; the one place that has a rule of law and that shares with the rest of the civilized world a love and respect for the dignity of life — and you know as I know as the Syrian father knew and the UN forces knew — that place is the only country on the planet created by Jews inspired by the ideals of Liberal Zionism: Israel. HOW DO YOU EXPLAIN THIS IF LIBERAL ZIONISM IS DEAD!!!! How can you explain to me the random 20-something year old Israeli I met at Ben Gurion airport 8 hours after visiting the Syrians being taken care of by the Jews in Israel. He served as a medic in the IDF taking care of the wounded Syrians. When I complained that Israel doesn’t get any credit in the world for these kinds of things, he shrugged his shoulders and said softly, “The whole world doesn’t need to know everything that happens here. We do it because it’s the right thing to do.” Liberal Zionism is dead? Antony Lerman does not have much historical perspective. He writes as if the democratic project of Israel is finished. Finished? That’s like saying that when the American Congress debated the fugitive slave law in the 1850’s that the American democratic project was over. Over? It was just beginning! America hadn’t even yet finished it’s wars against Native Americans–are we prepared to say that was the end of our democratic project? 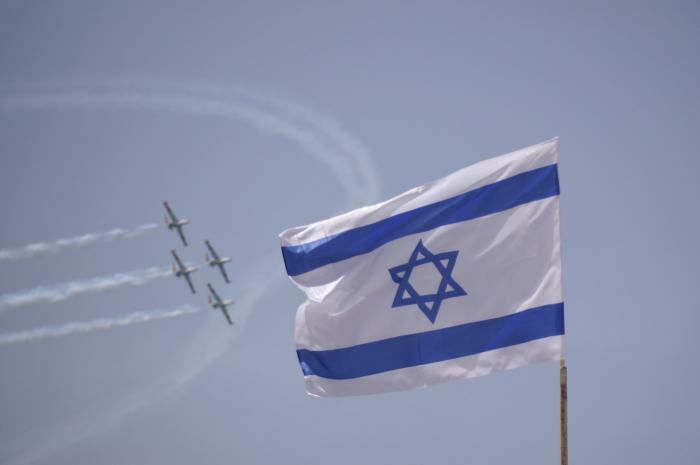 To my son Yoni and to your children, to all of you, I say: you can be proud of Israel. It cares about human dignity and equality and fairness. It has a long way to go. Its accomplishments so far are breath-taking. But it’s not resting on its laurels. Israel has to answer to it’s harshest critics — its own citizens. If we join them in the greatest conversation the Jewish people can have — what does it mean to have a Jewish state — we will bring honor to the obligation we have as the children of Abraham and Sarah.